Like the mythical milongueros of the golden years, who went to the milongas for the sole purpose of taking a girl out for coffee afterwards, but went home alone till the day they died, there are people who believe that some dance organizers get “rich” with tango. We don’t know anyone who got rich but over the years we’ve known plenty who have faced hardships because of their love affair with the tango. 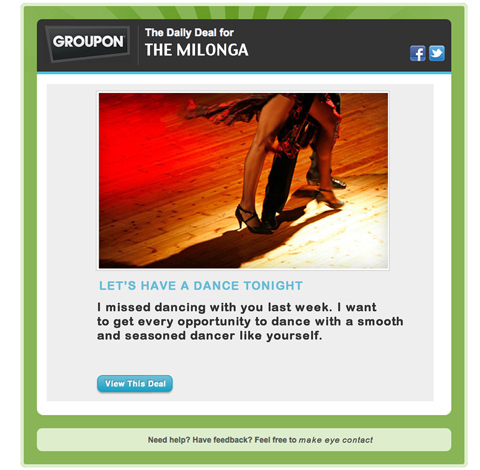 If you pay attention, there are always signs that the demise of a milonga is probably underway. At the local level it begins when organizers begin to plead with their patrons to “buy a drink, tip the waitress,” or both. 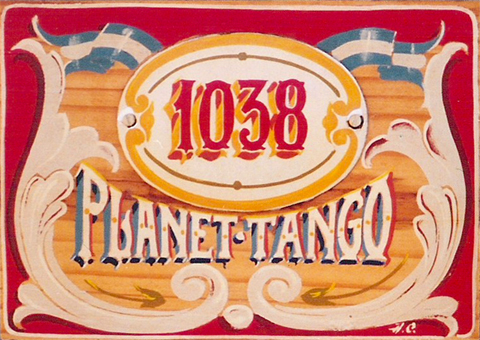 It is very difficult to find businesses that show an interest in tango beyond the amount of drinks they pour or the number of menu items they serve. On a much larger scale, many well established milongas in Buenos Aires that take place at social institutions find the executive committees not interested in the good of the tango, but in the money they make without investing a peso on the infrastructure. According to Marina Gambier, who blogs for daily La Nacion, Tangocool, a nine year old milonga at Club Villa Malcom, created as a challenging alternative at the time for many young people who were looking for a more relaxed tango with less behavior and dress codes, held a farewell party, with tears and some anger on Friday, March 22, 2013. In this case the signs were evident long before the outcome. Villa Malcolm‘s bathrooms were notorious for their filth. They were never cleaned on the days when there was dancing, and sometimes during summer classes, the air conditioning was not turned on. On, Thursday, April 4, 2013, milonga Niño Bien became another casualty on the downward slope of the current forty year cycle of the tango. 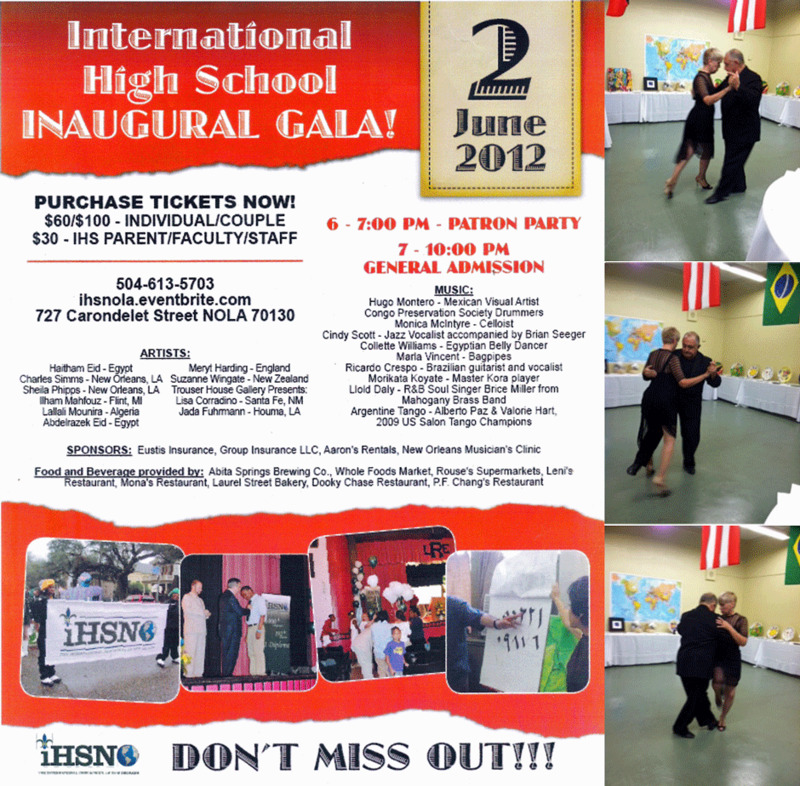 Organizer Luis Calvo opened the milonga in 1998 at the legendary Centro Region Leonesa hall on Humberto Primo 1462. 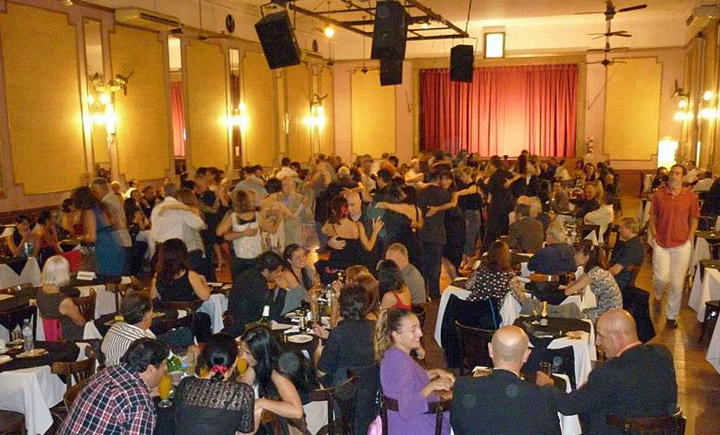 By early 2000 the Niño Bien milonga had replaced the legendary Club Almagro as the place where the old and young dancing elite gathered to excel in front of a growing foreign audience. It was the place to be, to see and to be seen on Thursday nights. And during low tourist season the locals were able to enjoy the magnificent salon with a polished wooden floor during low tourist season. The milonga organizers were getting hit on several fronts: the high cost of rent and taxes, tourists who came with fewer tangodollars, and locals who were broke because of inflation and a bad economy. It’s not known how teachers are faring. Today, with more and more Europeans “teaching” and people learning to dance from You Tube, there are worse dancers than ever on the floor. This discourages the locals even more from going out dancing. The only ones who seem to be doing well are the tango for export dinner/show venues which are raking in up to 50% of the 1.5 billion tourist tango pesos, . 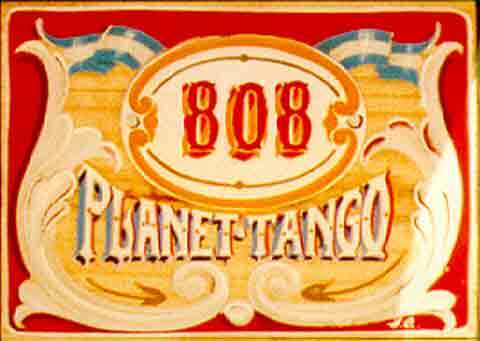 We first visited Niño Bien in 1999 while escorting two ladies from Hawaii as part of a guided tango tour of Buenos Aires. The hall was a lot bigger than Almagro. It was rectangular instead of square, and negotiating the dance floor was quite an eye opener for the traveling ladies. We returned six years later during our Katrina exile tour, and we became part of a group with a reserved table on Thursday nights. At the time we didn’t know whether we’d ever be able to return home to New Orleans, nor where we’d end up hanging up our shoes for the evening. To this day we crack a smile when we talk to our friends about fancy dancing on a crowded floor. “If people could see us now,” sometimes we whispered in between songs, “actually doing all the footwork we try to teach them in those cavernous American halls.” But today, a Facebook post read, “I can’t believe it. Maipu 444, Villa Malcolm and now Niño Bien,” and we gasped, looking at each other as if trying to hold on to a memory that wanted to escape like the last breath of air that precedes death. We are very grateful for our time on this earth when we could set foot in Club Almagro, Akarense, and Niño Bien. We hope to have enough relevance left to be able to tell those who want to know, what it was like to be alive and dancing during those glorious years at the turn of the century. A special thanks to you Valorie for being the inspiration to be myself. They say that when she arrives, she starts clipping virtual coupons asking people to make sure that they will have a dance later. However, they say that when she’s engaged in a fascinating conversation with the Most Interesting Man in town (a conversation of substance, as neither of them likes superficial chit chat), she doesn’t like the stress of looking around to pay attention if she might catch someone’s eye inviting her to dance. They say that she prefers to give her full attention to her conversation, especially if a free meal is involved. In all honesty she has been heard saying that she doesn’t like the etiquette of the cabeceo. If a gentleman comes up to her and asks for a dance, she chooses to dance with him, or refuses him. They say that after she leaves, she discards the imaginary coupons, and feels sorry that she did not get to use them. The recovery phase of Gulf Coast hurricanes means more than cleaning up debris caused by intense winds and torrential downpours. Recovery also means addressing insistent questions of “why do you choose to live in New Orleans?” While askers obviously have not thought deeply about this question, I do think it’s philosophical in nature. So, I offer a philosophical response with special considerations for lukewarm transplants, newbies and temporary residents who have not embraced the idea of being New Orleanian. Whether its hurricanes, divorce, getting fired or death,storms leave with much less fan fare than their anticipated arrivals. Life is horribly anticlimactic. Most storms come and go like Isaac. Yes, there are days-long power outages, but you struggle through it. Troubled times are eventually replaced by joyful ones. Living with the good and the bad is about acceptance. It’s about learning how to ride out a storm. The day before Isaac’s landfall, my friend in D.C. asked, “Why don’t you evacuate?” I replied, “If another storm comes next week and the week after, do you leave again and again?” The social and fiscal costs are clearly impractical. Likewise with the storms in our lives, do we pack up and leave every time there’s trouble? Certainly, there are events when no amount of personal preparation will do. Evacuation is often necessary. However while it was the anniversary of the U.S.’s worst natural disaster, Isaac was not Katrina. We shouldn’t equate all hurricanes to Katrina, whose devastation should have been avoided. Her disaster revealed our policy and social inadequacies. Bad education, housing and levee systems hurt us more than the storm itself. In the hours before Hurricane Isaac’s landfall, I didn’t ask myself “why am I here” because my city and family were better prepared. In fact, my day of preparation ended with a nighttime hurricane party. After a day of securing yard stuff, filling gas tanks, and completing other practical chores,my wife and I went to Irvin Mayfield’s I-Club. You know it’s a hurricane party when Soledad O’Brien, Anderson Cooper and Dee Dee Bridgewater are watching the band take shots a day before landfall. But that’s what we do in New Orleans. 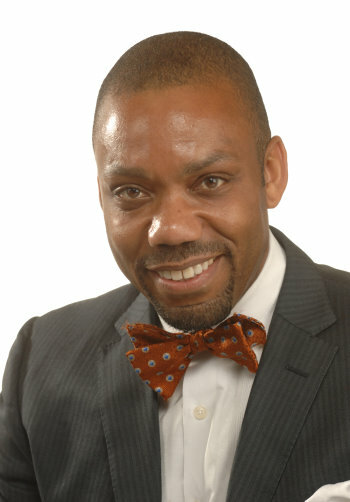 We’ve learned how to accept and prepare for the inevitable challenges of life. One of my favorite sayings is, “Life is not about waiting for the storm to pass; It’s about learning how to dance in the rain.” That’s what it means to be New Orleanian. So when asked, why do you live in New Orleans, you can pass along my thesis and share that learning to live with the inevitable is a lot more fun than denying it exists.